Next week, Juno—the solar-powered spacecraft that’s been closing in on Jupiter since 2011—will arrive to orbit the planet and send us back photos and data. But already, researchers have taken an infrared view of the planet that reveals an incredibly active atmosphere. Because Juno will (among its other jobs) monitor changes in Jupiter’s atmosphere, researchers wanted to get a baseline look at the movement of the planet’s atmosphere. Once Juno arrives, they intend to use these pictures, along with the new data sent back from the spacecraft, to create a 3-D map of the planet’s atmosphere. To get the infrared image, researchers from the European Southern Observatory (ESO) combined newer digital tech with an analogue technique called “lucky imaging.” In this method, researchers take photographs in a series of bursts to create thousands of short exposure images from the same angle. Most of the photographs taken from Earth-bound telescopes do not show a clear image. But within every thousand or so of the unusable frames, there are a few “lucky” frames that come out clear. Once researchers have enough of those clear images, they are able to stitch them together to get a complete picture of the planet’s atmosphere. 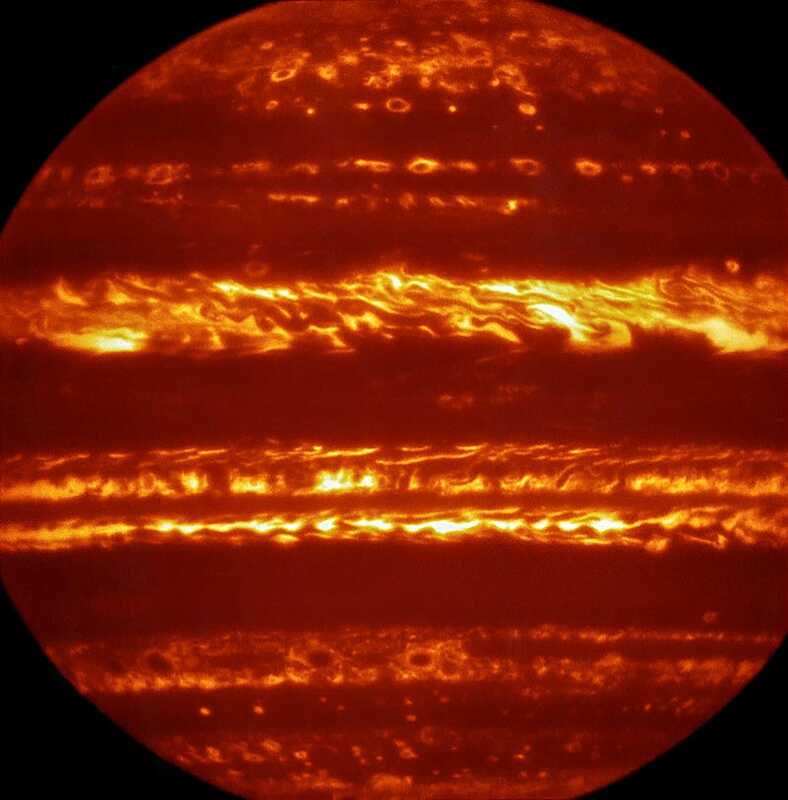 Researchers at ESO used that technique to get this infrared shot, which shows cool gas clouds moving rapidly upwards through Jupiter’s atmosphere. Although researchers were able to identify the source of the turbulence they were seeing in the atmosphere, they still have questions about how the movement happens and what it means for the planet itself. 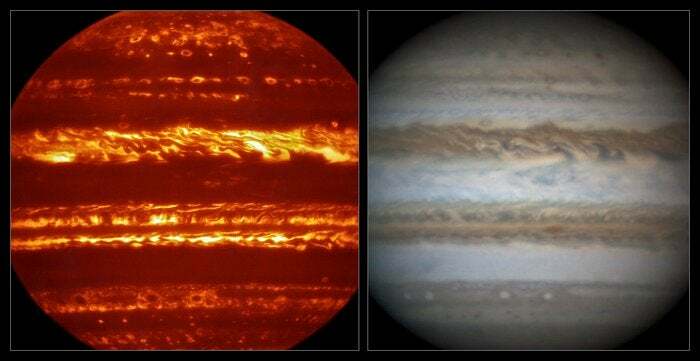 When they combine these images with Juno’s data to create a 3-D atmospheric map, researchers hope to get answers. With Juno’s arrival next week—and its much better vantage point—we’ll be able to get a more complete picture of exactly what is happening around the mysterious planet.